Buy the newest oil paint sets with the best sales and promotions. Find cheap offers for oil paint sets in our online store. Specially studied and formulated for figure modellers who want to create both a high quality and durable artistic finish. This set of six oil colours, like all others in the line, is comprised of durable and stable pigments. Possessing a high density, depth and intensity of colour, this set is ideal for painting flesh and musculature detail in scale figures. The excellent covering power, ease of application and ability to blur the colours allows for infinite variations of flesh tone. This set of six oil colours will allow you to create a finish just like best masters. It contains: ABT015 Shadow Brown, ABT135 Light Flesh Tone, ABT140 Basic Flesh Tone, ABT145 Sunny Flesh Tone, ABT190 Faded Flesh, ABT215 Flesh Shadow. High quality oil colours set with durable and stable pigments. 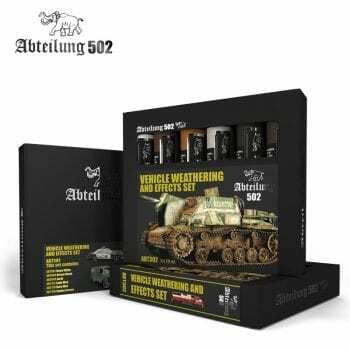 With a high density, depth and intensity of colours, this basic set is perfect for the weathering of vehicles and any kind of ground, mud and grease effects on them. It includes a special colour for effects in winter cammo vehicles. The oils are very special paints with different characteristics. In combination with others such as acrylic or lacquer paints you will achieve better finishes and ultra realistic appearance. High quality oil colours set with durable and stable pigments. With a high density, depth and intensity of colours. This set is special for making lights and shadows on your models. You can use the dotting technique and fuse the colours creating a discoloured and dirty surface with a great colour variation. 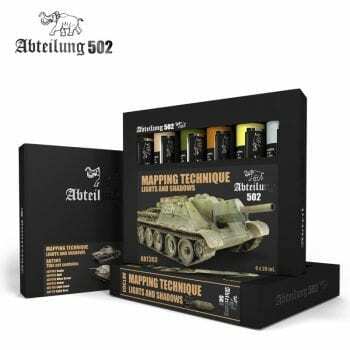 Also using the technique of mapping and these oils, thanks to its properties that allow perfect blur and transparency, you will be able to create different effects and volumes on basecoats and camouflages on any ship, vehicle or aircraft. Get a real effect on your models just like the best European masters. It contains: ABT002 Sepia, ABT035 Buff, ABT050 Olive Green, ABT092 Ocher, ABT155 Light Sand, ABT170 Light Grey. High quality oil colours set with durable and stable pigments. With a high density, depth and intensity of colours. This set contains all the needed colours for achieving realistic rust effects and enhance the details on your models with any red primer base coat. Is contains ABT003 DUST for adding contrast on these colours and for generic dust effects. You will get an ultra realistic look. It contains: ABT003 Dust, ABT004 Bitume, ABT060 Light Rust, ABT070 Dark Rust, ABT090 Industrial Earth, ABT120 Red Primer. High quality oil colours set with durable and stable pigments. With a high density, depth and intensity of colours. With this interesting colours set your models will achieve more volume and contrast. Especially selected for aircraft lovers but can also be used in other branches of scale modelling. 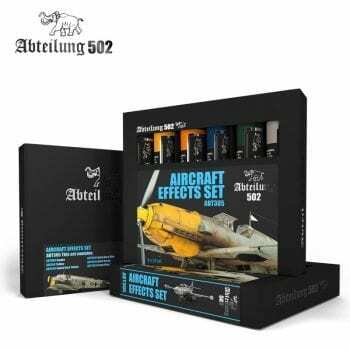 For getting real effects on your models asbest European masters do. It contains: ABT005 Smoke, ABT010 Yellow, ABT020 Faded Dark Yellow, Navy Blue ABT030 Faded, Faded Green ABT040, ABT240 Cream Brown. High quality oil colours set with durable and stable pigments. 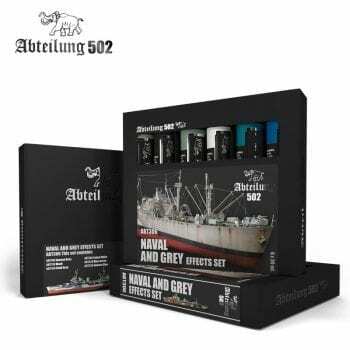 With a high density, depth and intensity of colours, this set is specially designed for adding richness and working on grey tones painted models like German ones in WWII, on classic and modern airplanes or on ships. Get a realistic effect on your models just like best European masters do. It contains: ABT100 Neutral Grey, ABT110 Black, ABT150 Field Grey, ABT165 Faded White, ABT230 Blue-Green, ABT235 Intense Blue. High quality oil colours set with durable and stable pigments. 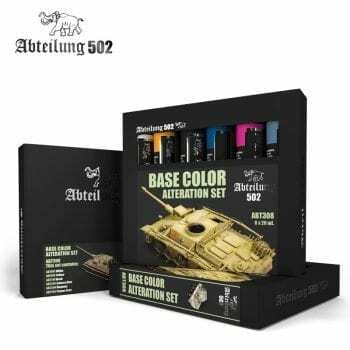 With a high density, depth and intensity of colours, this set is perfect to improve your scenes, dioramas and ground bases by applying different techniques on them. Basic colours for dioramas modellers, but also for realistic effects on any ground or base for your vehicles. It contains: ABT006 Burnt Umber, ABT007 Raw Umber, ABT025 Warm Red, ABT094 Green Gras, ABT220 Dark Brick Red, ABT245 Sand Brown. Within this set you will find all the necessary colors for base color alteration, for the base color alteration over the different tones like grey, desert yellow, green or painted in camouflages, as described in detail in our new book “ Mastering Oils 1” by Joaquín García Gázquez. Joaquín has made this selection for the proper application of his techniques. All these oils have a well known superb quality. 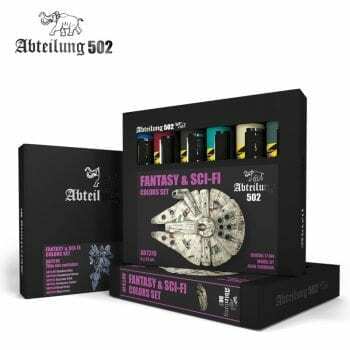 Within this set you will find all the basic colors to paint from space ships to fantasy creatures, mixed together you can achieve as many colors as needed to cover all the unusual colors seen in this type of miniature.. All these oils have a well known superb quality.